The season for sweet corn comes and goes in the blink of an eye, but Oh how fabulous that season is while it lasts! Here at Crowded Earth Kitchen, we try to shuck and process 2 dozen ears of sweet corn every day until the local farm stand closes. 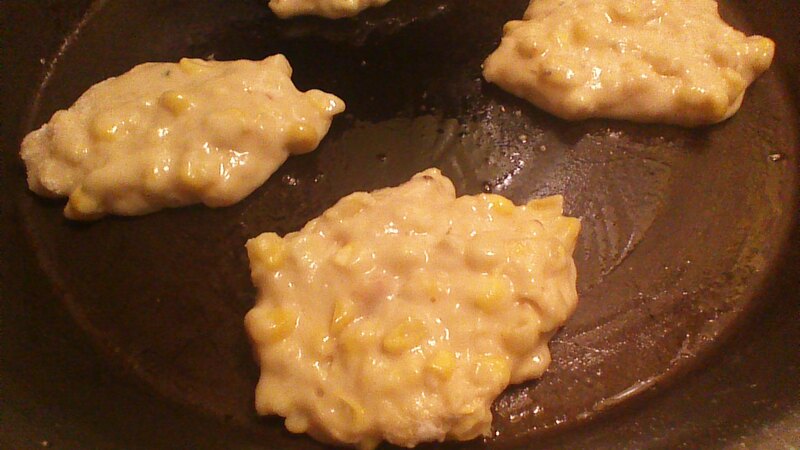 Today’s creation was a big platter of Corn Fritters, which were divine with maple syrup. I hope you enjoy them as much as we did! Step 1) Combine all ingredients in a medium size bowl and mix well. 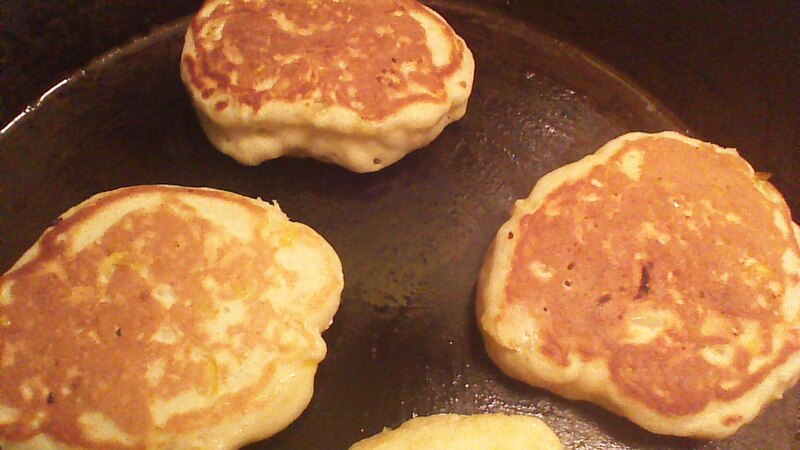 Step 2) Drop by heaping tablespoonsful onto a well greased griddle or frying pan. Fry over low-medium heat for 2-3 minutes per side. Enjoy while hot! 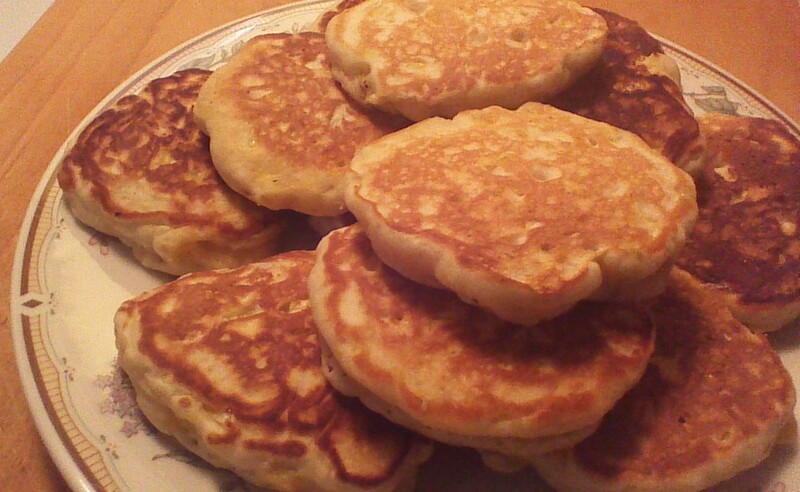 This entry was posted in Breakfast, Fruits and Veggies, Vegetarian and tagged children, Cooking, Family, Food, Homesteading, Recipes, Vegetarian. Bookmark the permalink. I know a grandpa who would love these! I will definitely try these.